Well, yeah. That was it. 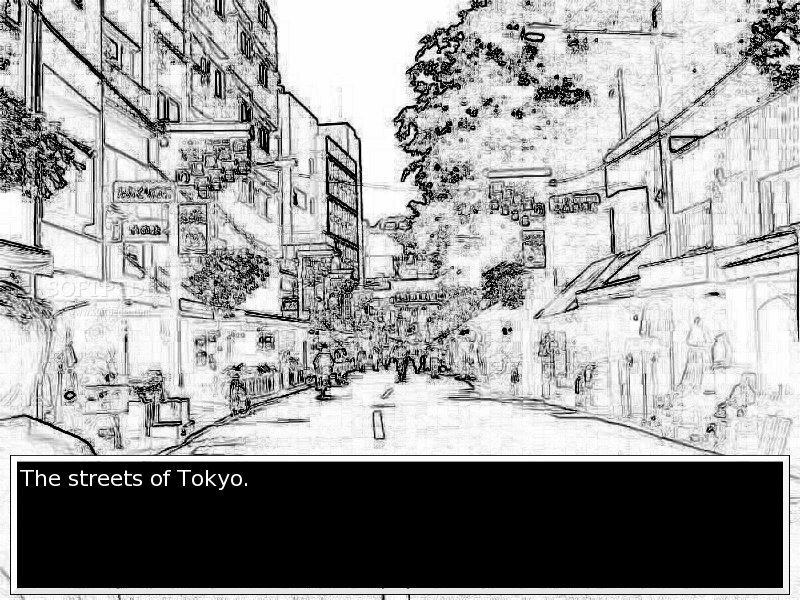 That was the first visual novel I wrote and published. 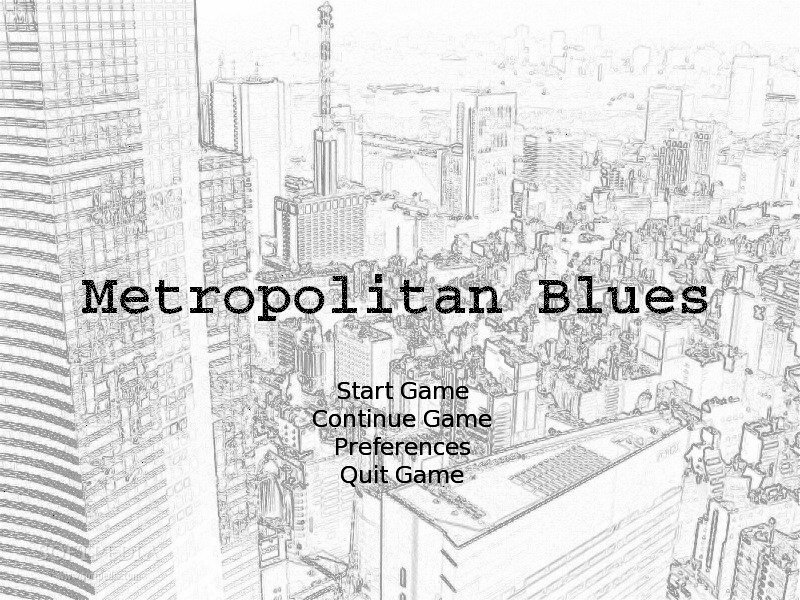 Metropolitan Blues. 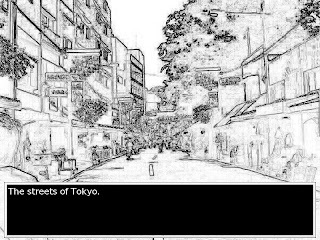 At that time, I had no idea about programming a visual novel, and all I had was an open source graphic filter program, a photo CD of Tokyo and a few friends I found online on the Lemmasoft Forums. And I had an idea. An idea only a writer could have. The idea to write a story about being unable to write. At the time I wrote the story, I had some inspiration, of course, or this whole thing wouldn't have worked, but I knew how it felt not to be able to bring words to paper. It felt as though you were disconnected with the world, as though you were somehow stranded on some distant island, unable to communicate. Having writer's block doesn't mean the words aren't there, but when you try to put them down, they somehow come out wrong, which is why you don't even try to put them down. Yeah, it's that complicated. Of course, I didn't want to bore players to death with the ramblings of an author unable to write, so I couldn't tell this story from the perspective of said author (which, by the way, in the story is the woman you see above). Instead, I needed an outward perspective - someone to approach the situation from an outside angle and to be able to relate to the situation without being in it. So I made up the perfect character for that: A ghost. Or at least that's who he thinks he is. 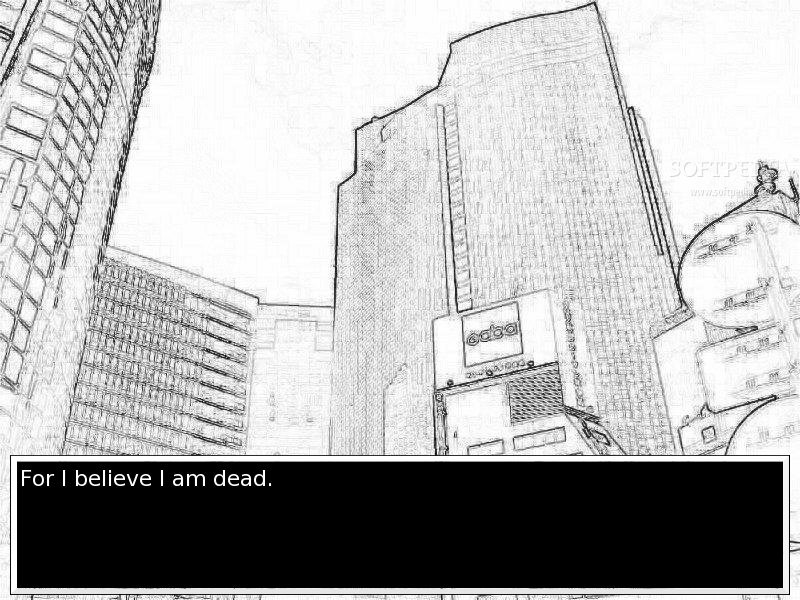 The protagonist of the story is a disembodied spirit who literally cannot do anything. 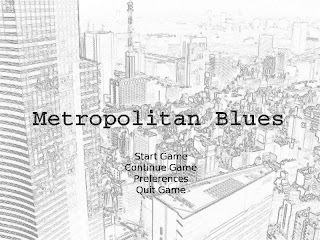 He can move almost freely (he just cannot leave the city he lives in, Tokyo), he can observe what goes on around him, but he cannot interact with anything in the physical world. To make matters worse, he doesn't know who he is, and he suffers terribly from being all alone because of his lack of interacting with the world. ...oh, but that's where the story gets interesting. Why don't you give it a try? 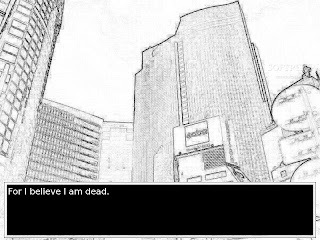 It's a free download, and maybe it's a first step into the world of both visual novels and my storytelling for you. I very much look forward to your feedback. Please keep your comments civil - this is pretty much an all-ages blog. Losers and books and succubi, oh my!